Description : Goddess is known to be the source of strength and power to the people in the world. 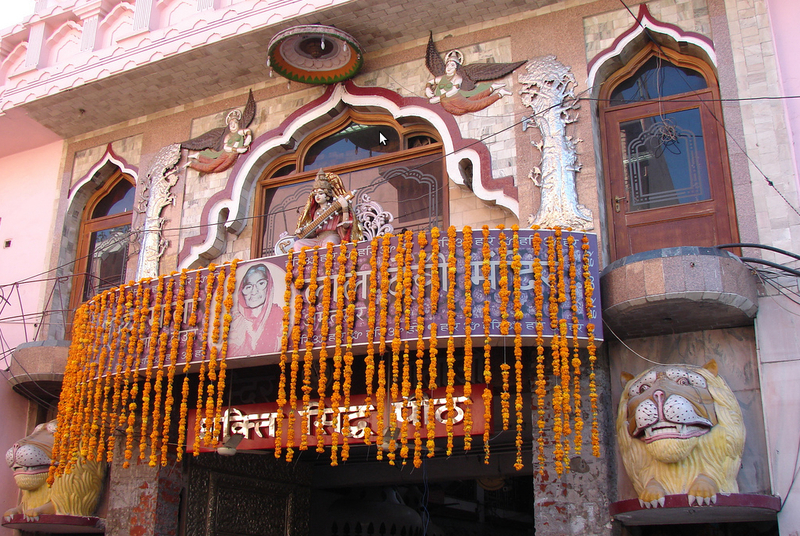 Our visit to the Mata Temple in Amritsar made me realise how serene these temples were. They already made you feel happy and at ease. Our visit truly helped us get rid of all worldly pressures. After visiting Jallianwala Bagh, we went to visit Akal Takht, which was located in the Golden Temple Complex in the city. It is one of the five Seats of Power of the Sikh community and was built by the sixth Sikh guru, Guru Hargobind. It is here the cases connected to serious religious offences committed by Sikhs are heard and decided. A Hakuamnamas or decree is issued by the Akal Takht which is applicable to all Sikhs and which they are bound to obey. 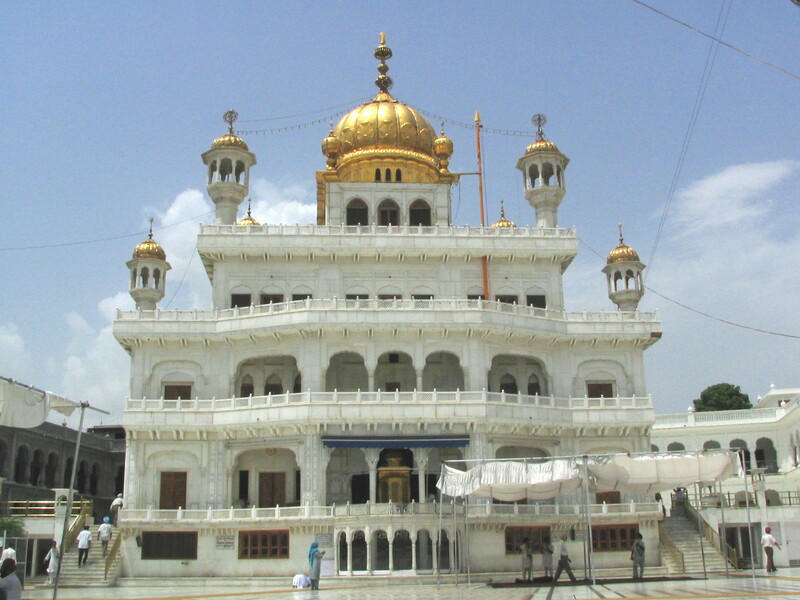 The place where Akal Takht was built was where Guru Hargobind played as a child. A statue of him is also seen on the site. The original Takht was just a simple platform that rose to a height of 3.5 meters. Guru Hargobind used to sit here and hear petitions and make judgment. Later on an open air semicircular structure was made and now it is a five storey modern structure with marble works and a dome covered with gold leaves. The structure is very beautiful in white and gold and we stood admiring it for some time. There were many people waiting go inside and we too stood in the line leading inside. The crowd waited patiently without pushing each other. Inside the Takh I saw the priests reciting hymns and singing melodious prayers. It was very melodious and made you peaceful at heart. During the evening time the priest recites evening prayers with a naked sword in hand. There was a museum here which showed some of the rare weapons used by the Sikh gurus and Sikh warriors. They even explained the important of each weapon and gave a lot of information to the visitors. We also viewed many wall paintings that looked really impressive. From the windows of the Takht we had a fine view of the Golden Temple. Every night, after the Golden Temple is closed, Guru Granth Sahib is taken from the Golden Temple to Akali Takht. At the backyard of the Akali Takht there were many rooms where granthis recited hymns from the Granth Sahib. The sunset we viewed from here was very beautiful and as darkness fell, we set off to our hotel. Description : On our trip to Punjab, we recently passed by this historic monument. This is Khalsa college, one of the most prominent college in Punjab. 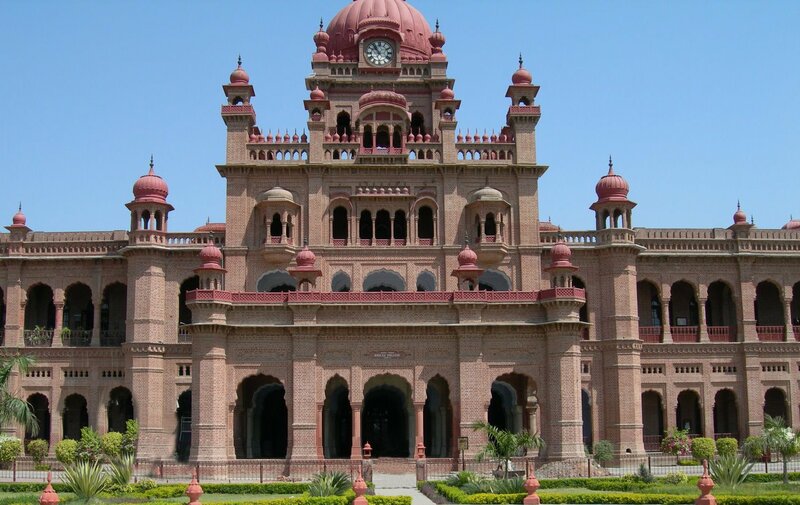 It is also one of the oldest educational institutes in Punjab. It was established in 1892, since then it has been a prestigious treasure for the Punjabis. Description : We were travelling around in Punjab, checking out different destinations. That’s when we can came across this huge ancient well. 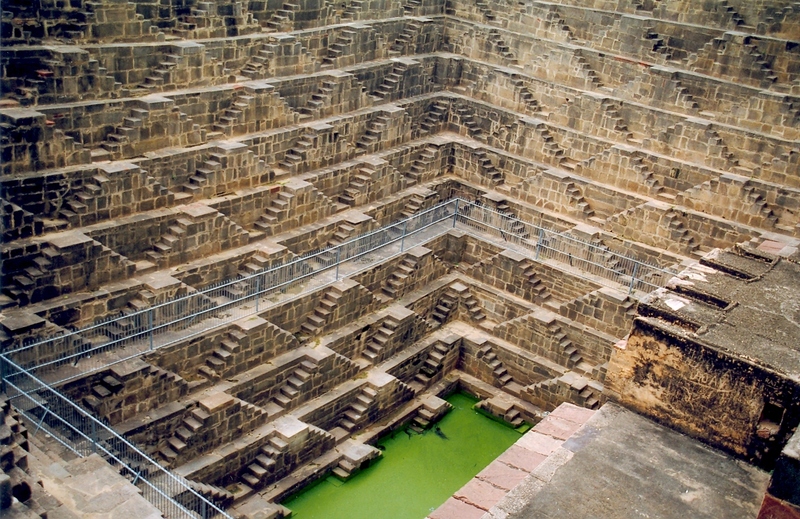 Chand baori in Amritsar is one of the most unique tourist destination in Punjab. Not many people know about this place. If you are in Amritsar then I would recommend that you definitely visit this beautiful spot. 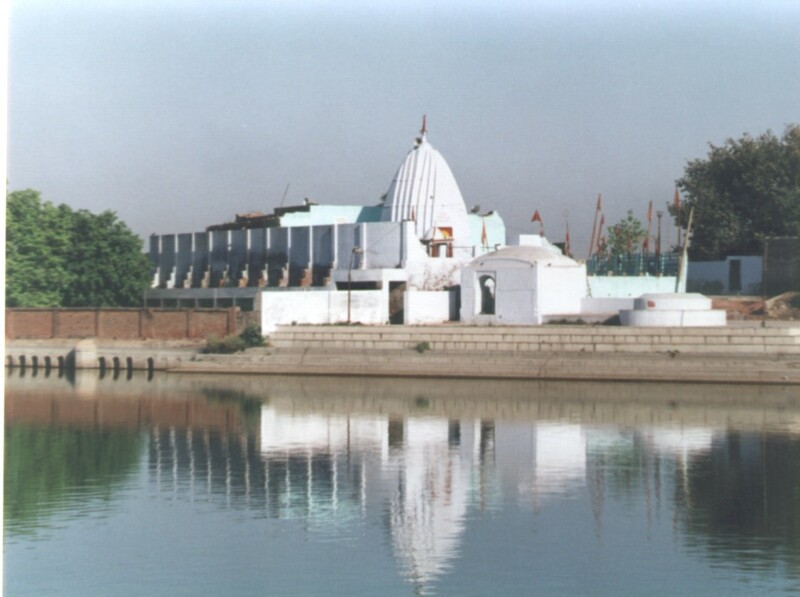 Ram Tirath is located about 11 km from the Amritsar city and is one of the holy places for the Hindus, visited by large number devotees from all over India. According to the epic Ramayana, the place was once the ashram of saint Valmiki. When Mata Sita was deserted by King Rama, it was Saint Valmiki who gave her shelter in his ashram. Mata Sita gave birth to twins Luv and Kush here and stayed in the ashram for a considerable period of time. The temple is open to the devotees from 6.00 am to 9.00 pm and we reached the temple at 7.00 am. It was a large place and the temple was very beautiful with sculptures. There were steps leading to the temple. We bought some sweets and flowers to offer in the temple and went inside the temple. After praying at the temple and making the parikrama around the temple, we had a look around the temple premises. The temple had a number of statues that showed important scenes from the epic Ramayana. 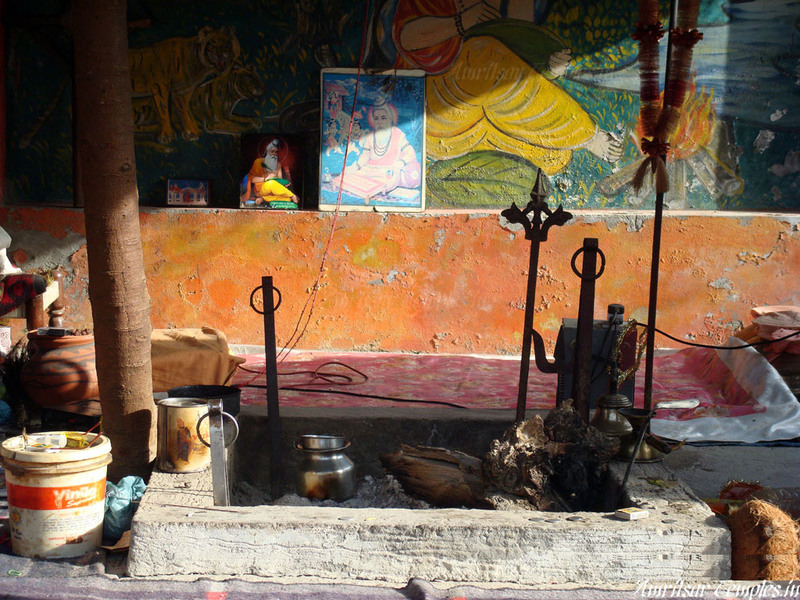 There was a sacred tank in the temple premises, which was believed to have been dug by Hanuman. It was here that Mata Sita took her bath when she stayed in the ashram. The circumference of the tank was 3 km and there are many small temples on its sides. A dip in the holy waters of the tank is believed to wash away your sins, especially in the early hours of the full moon night. There was a 30 ft wide path around the sacred tank for the parikrama or circumambulation. After a dip in the tank, the devotees go around the tank chanting the name of Rama. A hut of Rishi Valmiki ia still seen here. An annual fair is held here on the month of November and it lasts for four days. Lots of people from all over India reach here to take part in the fair. We also saw a huge statue of Hanuman, which stood to a height of 80 ft. During the four day festival, on the full moon night women light lamps made of kneaded flour, place them on leaf plates and let it float on the tank.